Join the Politics of Food Book Club in a discussion of Water Wars: Privatization, Pollution, and Profit by Vandana Shiva. Vandana Shiva discusses Soil Not Oil: Environmental Justice in an Age of Climate Crisis. ...and numerous other awards from around the world! Vandana Shiva (b. November 5, 1952, Dehra Dun, Uttarakhand, India), is a philosopher, environmental activist, eco feminist and author of several books. Shiva, currently based in Delhi, is author of over 300 papers in leading scientific and technical journals. She received her Ph.D. in physics from the University of Western Ontario, Canada, in 1978 with the doctoral dissertation:“Hidden Variables and Non-locality in Quantum Theory”. 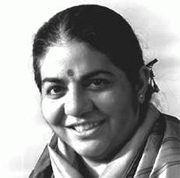 Shiva participated in the nonviolent Chipko movement during the 1970s. The movement, some of whose main participants were women, adopted the approach of forming human circles around trees to prevent their felling. She is one of the leaders of the International Forum on Globalization, (along with Jerry Mander, Edward Goldsmith, Ralph Nader, Jeremy Rifkin, et al. ), and a figure of the global solidarity movement known as the alter-globalization movement. She has argued for the wisdom of many traditional practices, as is evident from her interview in the book "Vedic Ecology" (by Ranchor Prime) that draws upon India's Vedic heritage. Vandana Shiva is currently considered a "single author." If one or more works are by a distinct, homonymous authors, go ahead and split the author. Vandana Shiva is composed of 3 names. You can examine and separate out names.